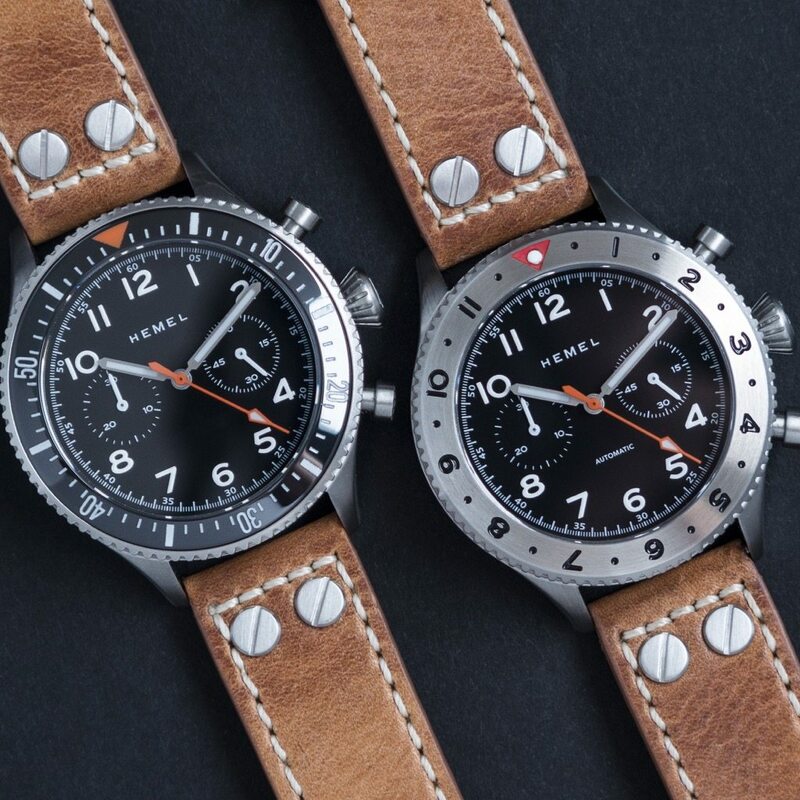 If you were jazzed about the Glycine Airman John covered a couple of weeks ago, this new Hemel gives a lot of the same aesthetic, but with the choice of an automatic or mecha-quartz chronograph. Both are Seiko movements, and it’s great to see the automatic NE88 as an option alongside the ubiquitous VK64 mecha-quartz. The brushed stainless case looks gorgeous in the promo photos. You can change the character of the watch by swapping out three different bezels—either a stainless 12-hour for a second time zone, a black diver for a second timer, or blank steel for that clean/useless look. The push-in onion crown gives the watch vintage charm no matter which bezel is topping it and the pushers have deep square knurling, which should give positive engagement for either movement.